Senate elections are going to be conduct in a couple of months (on March 3rd). 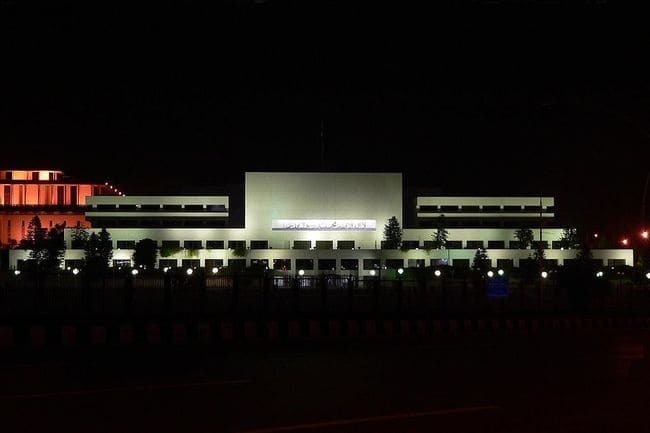 Most of Pakistanis though know that Senate is a legislature like National Assembly, but unaware regarding its role, why there are two houses how the senate elections are held, when its elections are held and when its tenure complete etc. We shall try to address all this in this article in our series of current affairs & general knowlege. To take better understanding let’s dive into background first. Pakistan is a parliamentary republic, it means that state operates under parliamentary system of government and it (parliament) is supreme legislative body. There are different variants of parliamentary system, here in Pakistan parliament is bicameral federal legislature. In Bicameral system, parliament is divided into two houses upper and lower. Upper house in Pakistan is senate and lower house is National Assembly. National assembly is directly elected by public voting and its duration is five year. Whereas senate is permanent legislative body and its member are indirectly elected by the members other constitutional assemblies. Senate is the permanent part of parliament whereas National Assembly dissolved after the completion of its tenure (or if PM advised President to dissolve it). Senate members are elected for six years. As Senate remains permanent never dissolved, so only half of the seats got vacant every three years and election helds on these seats. Elections on the other half are held after next three years in this way this house remained permanet throughout. Senate of Pakistan was formed under constitution of 1973 as the constitution parliamentary bicameral legislature. It was first met in 1977. Mr. Habibullah Khan was first chairman of senate whereas Miss Samia Usman. Initially senate strength was 45 then increase as 63, 87, 100 and finally 104 in 2011. Mandatory quorum require to be held a session is one fourth of total membership. The number of seats in National Assembly is in proportion to the population of the province this cause highly populated provinces to have a large number of seats as Punjab (148 general seats) or Sindh(81), whereas low population provinces have quite fewer seats as Baluchistan(14). Here comes Senate, which gives equal representation to all provinces, in this way it plays a balancing role for provincial inequality in National Assembly thus promotes cohesion, equality, peace and harmony among federation units. So about 124 votes are required to win a senate women seat from Punjab, same is true for technocrat seats. For Sindh winning votes will be 22, 57, and 57 in KP 16, 42, 42 and in Baluchistan 9, 22, 22 respectively required for general, women and technocrat seat. Same formula applied for Federal. Two province minorities seats (one each province) are contested for every three year, they are required to get votes of majority members of their provincial assembly. Four FATA members are elected in such manner as the President may, by order prescribe. Prime Minister of Pakistan must be the member of National Assembly so a senator can’t become PM. Money bill is not required to be passed by Senate. President of Pakistan is elected from both houses and Chairman of Senate acts as president when President Office is vacant or he is on any leave. Senators can be part of Cabinet, however number of senators that are Federal Ministers must not exceed the one-fourth of total ministers. We have tried to give you a brief overview of Senate structure and role, your feedback will be really appreciated. Stay tuned for further related ones.